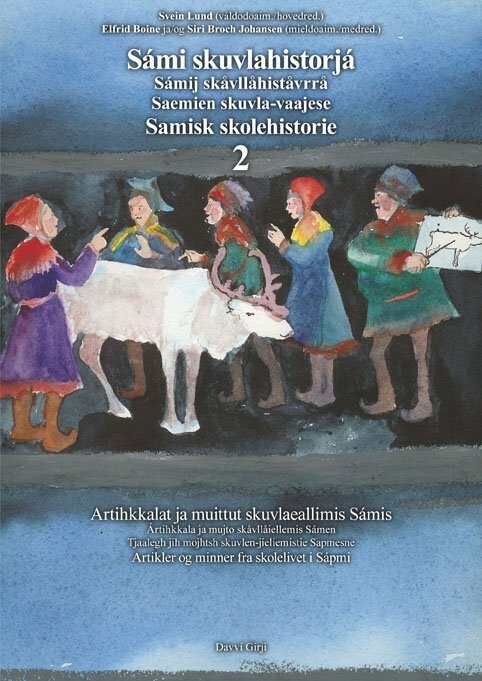 Ever since there have been schools in Sami districts, it seems that the pupils here have had a greater absence from school compared to pupils in other parts of Norway. The absence can have many different causes: Poverty, illness, long distances, that the parents needed the children's work at home and that the children did not want to go to a school where they did not learn anything useful, maybe nothing at all, as the teaching was in a foreign language. 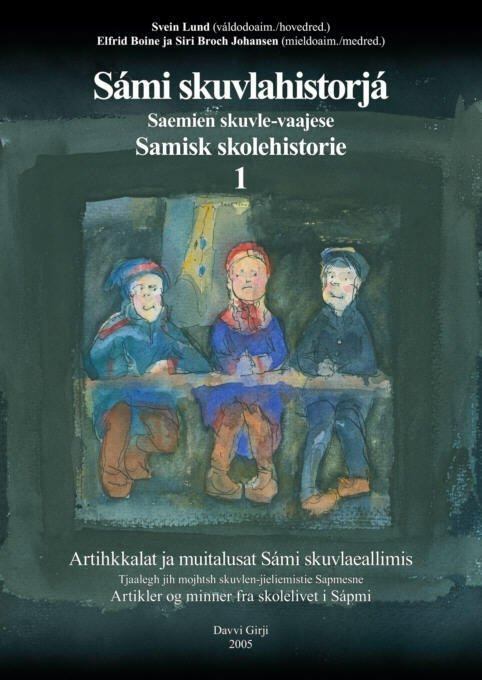 There has even been written a book on the absence of northern-Norwegian pupils in the 1800's; Edmund Edvardsen: Den gjenstridige almue (The obstinate plebeians), and a student has written a dissertation in his main subject entitled «Nordnorsk skulk og vestlandsk skoleglede» (Northern-Norwegian truancy and Western-Norwegian school joy). These exerts says something about the reasons for this difference. "Lack of clothes, shoes and food"
In olden times there was an arrangement with school inspectors, who among other things should watch that the children managed to get to school. When the teacher saw that a pupil did not come to school, he sent the school inspector to the parents' home to look into the case. He would then take along a form named «Warning list», which the teacher had completed with the name of the child and his guardians. The inspector should then complete the spaces «When warned and admonished», «Warned and admonished by who», «For whom the warning and admonition was directed» and «Reply of the guardians». Billefjord 1899: He/she thought they had been given time off from school. Billefjord 1903: Ole and Magga were both at home, and I told them what you had written to me, and they replied that the girl goes to school if they send her, but if they do not wish to send her there, she will not come. 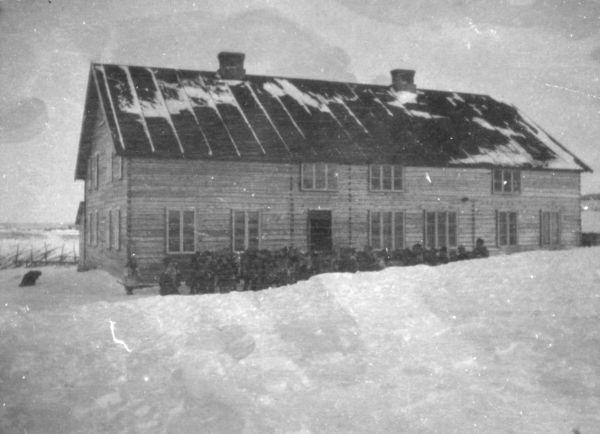 Billefjord, undated: Magga says she does not have the opportunity to send the girl to school because there is no time and no food and she does not have time to send food from their home to the school either. 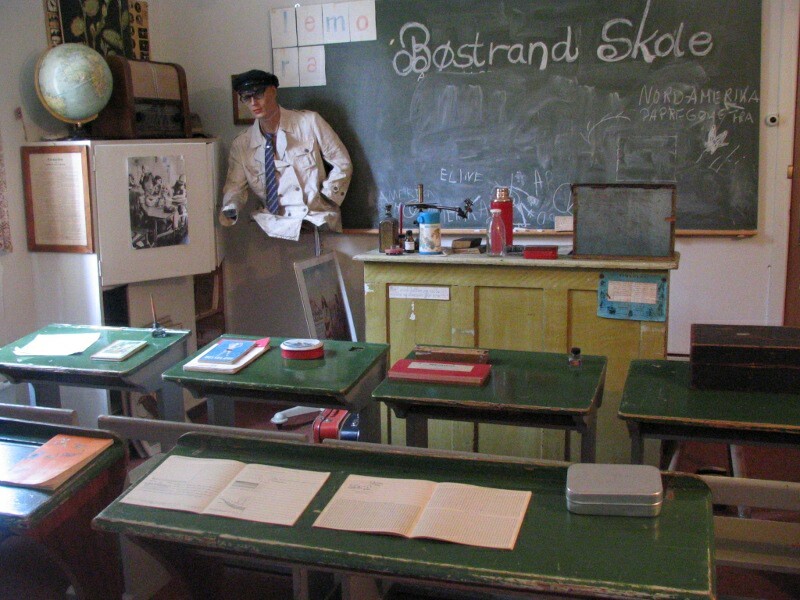 Kistrand 1906: The reason is that there is shortage of food and the boy does not really want to go to school. Kistrand 1906: The reason is that there are shortage of clothes and food and no spread for the bread. Kistrand 1906: The reason is that there is no food, otherwise they would send the boy to school. In Porsanger museum's school exhibition some of the explanations the parents gave for the pupils' absence were exhibited. 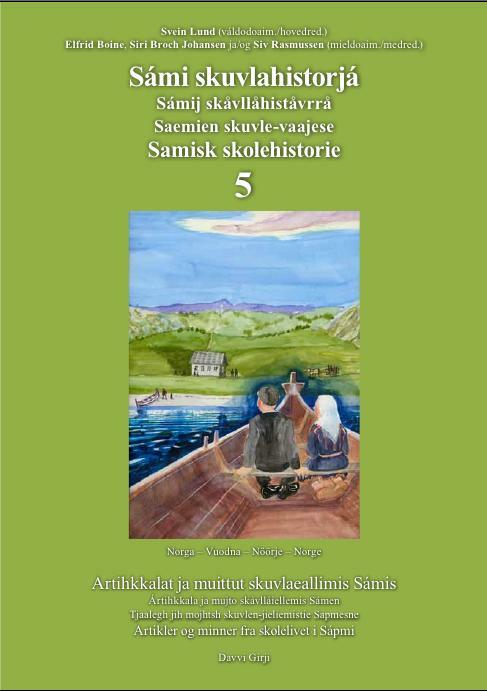 We see that some answers are in Sami, others in Norwegian. Some letters written by parents to the teachers have also been preserved. This letter dates from 1918, the last year from which documents from Kistrand municipal education committee's archives have been preserved. My son did not come to school 9th and 10th of January because it was very cold and he lacked clothes, it was not possible to travel to school, and the one who does not believe that shall go into the fire and then will see what becomes of him. I am blameless for those days, because I have given a notice before the school began, and asked that what the municipal education committee wished to pay per day, to give the boy clothes, I have waited for many weeks already, if it would be possible to get what the municipal education committee can pay. Now I really need to get it. This paper should be quoted in the municipal education committee. What did the school authorities do when the parents did not make sure to send their children to school? Well, in that case the municipal education committee could pass to fine the parents. This is known from Guovdageaidnu from the entire period from the beginning of the 19th century to the 1960's. In 1901 the District Sheriff Pleym, who was member of the municipal education committee states «that he can not agree any longer to the fining for neglecting school, because the government has not accommodated a system that renders a general school attendance possible». At this time the ambulatory school had been closed, but without any satisfactory replacement, and there were not possibilities for accommodation for all the children in the church village. But in 1907 the boarding school was finished, and with that apparently the practice of fining parents was taken up again. 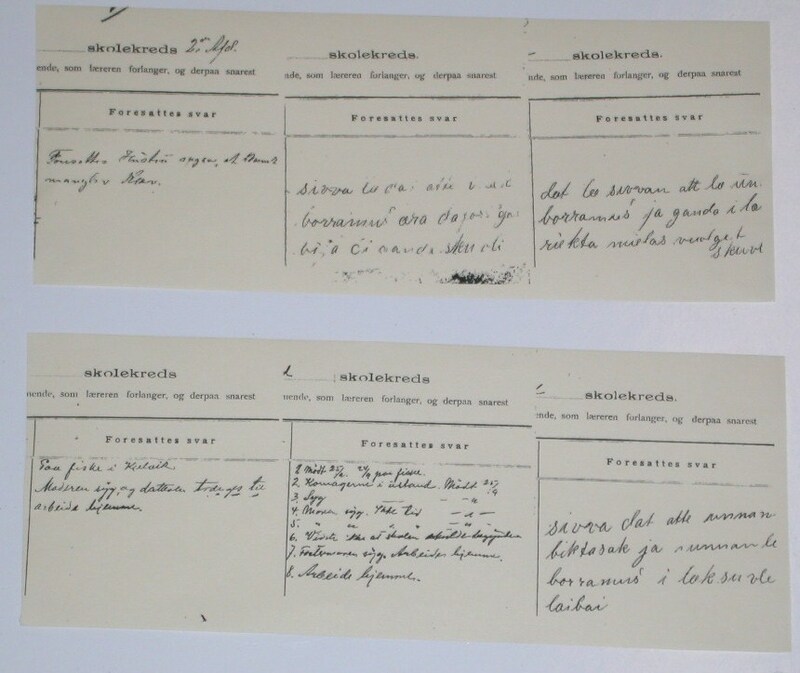 Early in the 1900's special protocols for entering «Fines for neglecting school» were printed. 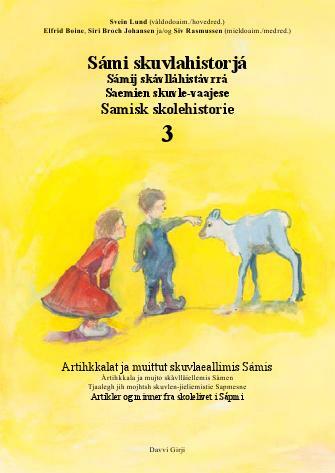 Such a protocol has been preserved from Kautokeino municipality. The fines from most of the years from 1913 to 1940/41 have been entered here, with the names of the absent pupils and names of «Parents or provider», which days have been neglected and how many krone that has to be paid as a fine. If the fine was not payed, the alternative was «Prison days» and alternative days in prison was entered into the protocol next to the amount of the fine. 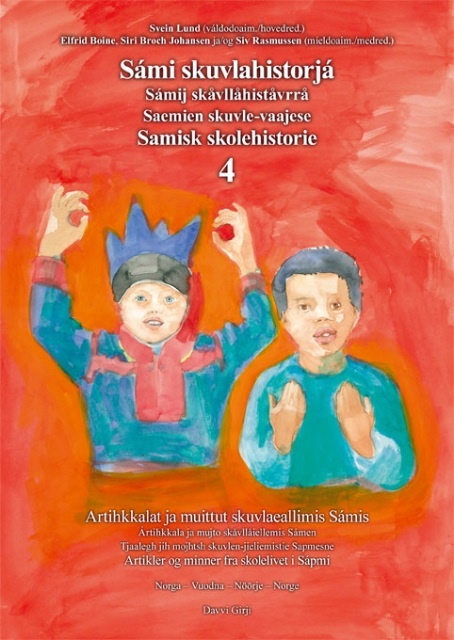 In the year 1918 as many as 36 have been entered into the protocol in Kautokeino, it is the highest number that has been registered in a school year. About half of these have been absent «the entire school time». The fines vary from 5 to 120 kroner. The latter was not a small sum at that time. The alternative days of prison varied from 3 up to 30. The protocol had a separate column stating «When reported to the police», and every case have been reported. In the space for comments it is entered that two of the parents have accepted the fine. It has happened 1 ½ years after the fines were made. What happened to the other ones is not stated in the protocol.